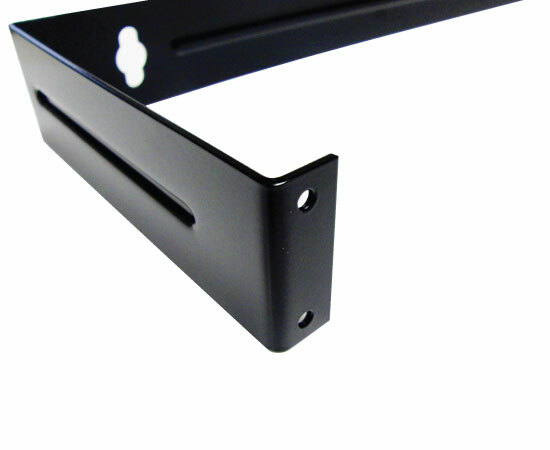 This is a 1U hinged-type wall mount bracket used to mount patch panels directly on a wall or other surface and eliminating the need for larger and more expensive server racks, enclosures or cabinets that may not be necessary. Its dimensions accommodate standard 19" patch panels or other rackmount components that occupy a RMS of 1U with a 6 inch depth. 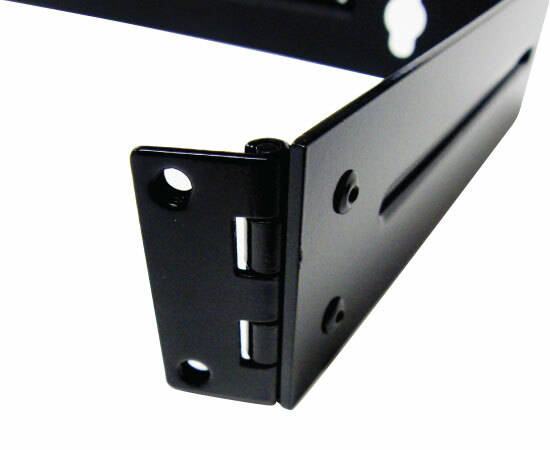 Our 1U Swing Out Wall Mount Bracket Optimal for 12 port or 24 port patch panels. 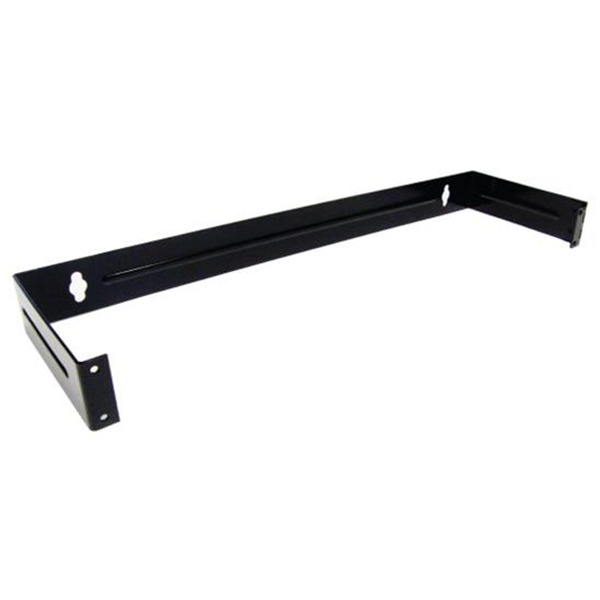 Rear mounting plate cutout allows for cables to be run directly into a wall behind the rack unit to eliminate messy cable and and extra cable management components. Attractive black finish will match industry standard products for an attractive and clean look. The hinged, swing-out feature makes it easy to add or reconfigure patch cables without dismounting the entire rack.